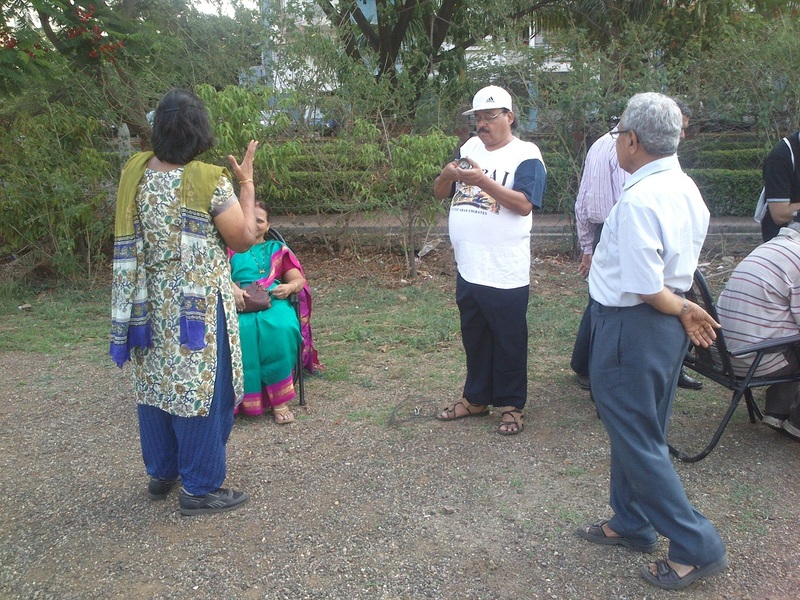 Residents who attended the workshop are OM Avinash Khadilkar, Om Sudhakar Korde, OM Prof. Subhash Rajwal and his son Swanand Rajwal, OM Amol Bhalerao. 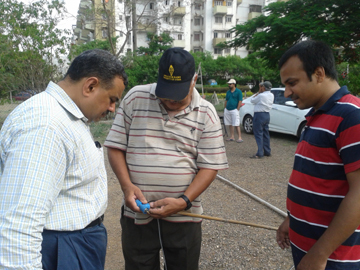 Here are some pics I took while setting up the station and Anttenas: From Left - OM Uday (VU2UPQ), OM Ashok (VU2ASH), Me (SWL Amogh) OM Milind (VU2MSB) helping setup the antenna. 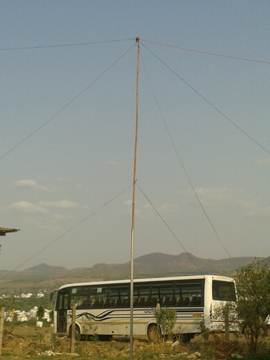 Temporary 20 and 40mtr dipole setup and tuned on the field. 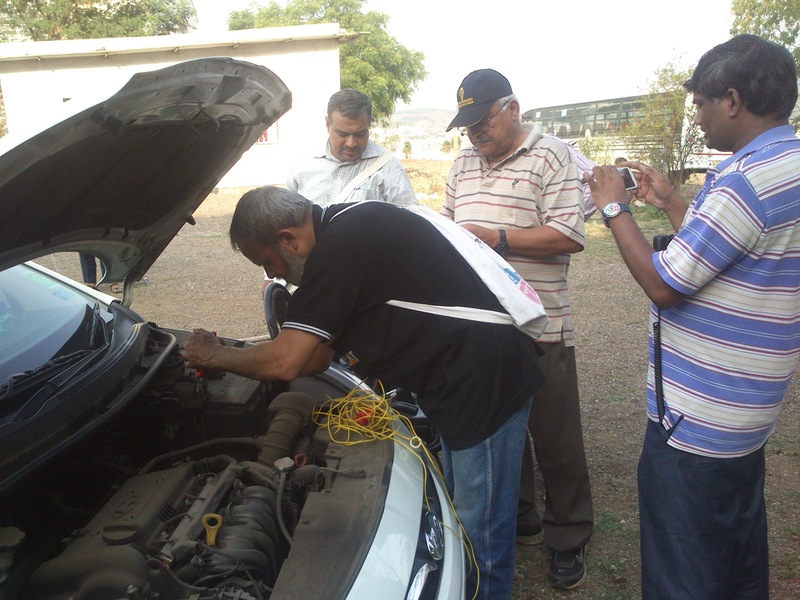 OM Milind (VU2MSB) hooking up Om Udaya's (VU2UPQ - Extreme left) Rig to the OM Srini's (VU2MUA - extreme Right) car battery. 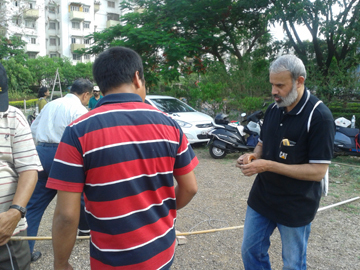 Om Ashok (VU2ASH on the chair) and OM Milind (VU2MSB) operating the station. from left - XYL of OM Ashok (VU2ASH), XYL (sitting) of OM Vilas (VU2VPR), OM Vilas (VU2VPR), OM Avinash Khadilkar. 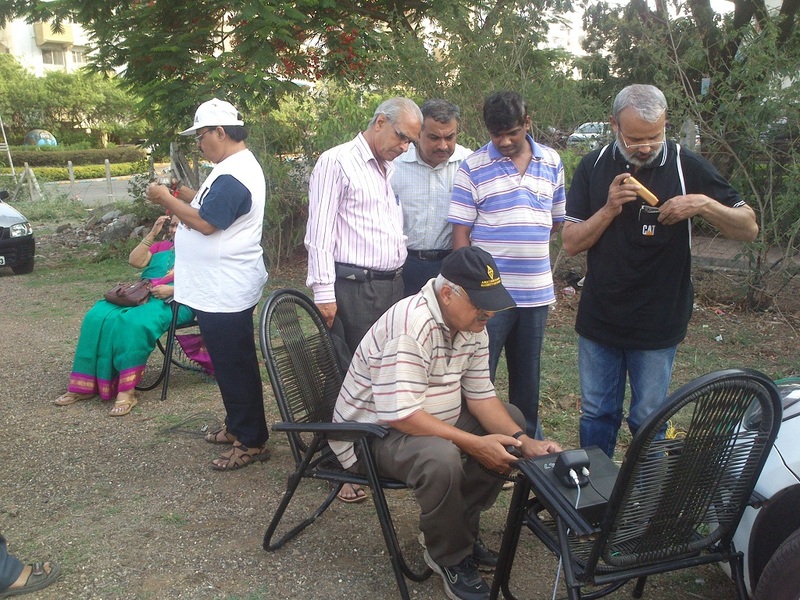 From Left - OM Vilas (VU2VPR), Om Prof. Subhash Rajwal, OM Udaya (VU2UPQ), Om Srini (VU2MUA), OM Milind (VU2MSB), Om Ashok (VU2ASH - operating the station/Rig).